We just got word about something fresh happening in New Orleans for Juggalo Weekend! 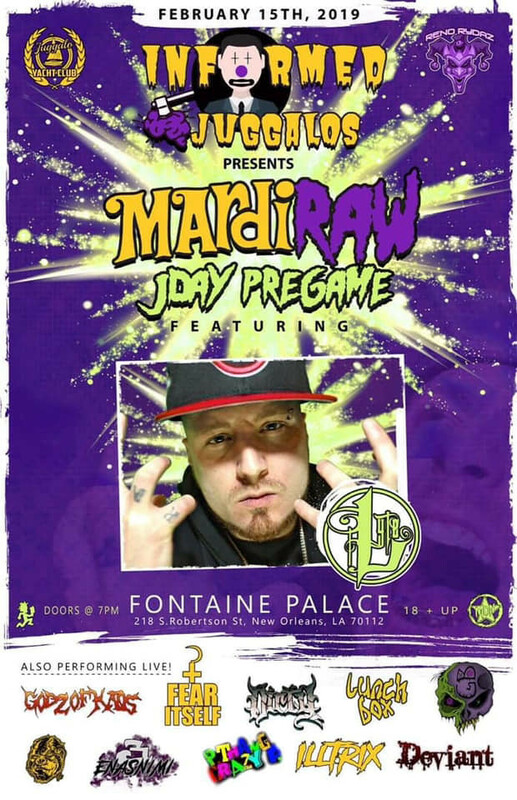 Informed Juggalos along with the Juggalo Yacht Club and the Reno Rydaz have put together a crazy dope pre-party called the Mardi-Raw JDay Pregame! 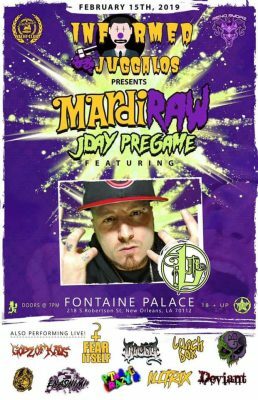 The show will take place at Fontaine Place and be headlined by none other than Psychopathic’s own LYTE!